Bigstoc k (previously known as Bigstockphoto) is a stock imagery agency with over a decade in business, that includes stock footage in their offer since a couple years. Since 2009 they are owned by Shutterstock, giving them a greater veil of trust worth. They are now conceived as an agency that shares the parent company's goals and principles for high quality and quantity in content, but focuses in offering more flexibility in pricing, with video subscriptions. With simple and straight-forward licensing, decent variety in content and user-friendly search tools, Bigstock is a good option if you're looking for cheap stock footage on a daily basis. Start exploring Bigstock's stock footage now! Sign up for free to browse and download stock videos. And now you can save money with our special deals! Save 15% in your subscription or credit pack. We also have a great deal for new customers only: try Bigstock for free for 7 days! Download up to 35 free stock videos! Free 7 day trial! Up to 35 stock videos for free! Do you want to buy stock footage at Bigstock? Sign up to start browsing their library today! And don't forget to grab our special coupons to save 15% in your purchase of a subscription or a credit pack! Want to test the waters first? 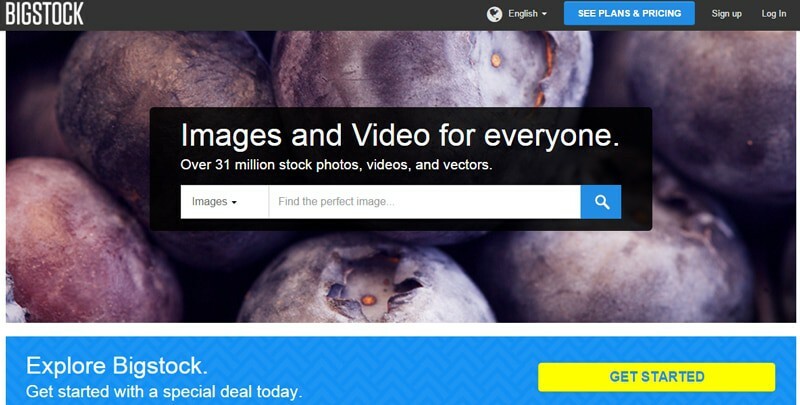 If you're a new customer, you can try Bigstock for free for 7 days! Bigstock is a subsidiary of Shutterstock since 7 years, but operates as a stand-alone website, with its own collections, pricing and licensing terms. Their value is in the wide offer they have in pricing, and in the fact they have some of the lowest price points in the market. Their library has a good size, with around 105,000 stock videos. And they have variety in lots of popular and sought-after topics and styles, so it's very possible for you to find the kind of clips you need in their collections. Plus, they have videos up to HD quality, making them suitable for various purposes, particularly for online video platforms. 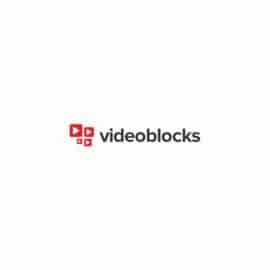 While Shutterstock sells stock footage via on demand video packs, Bigstock entered this market in late 2014 offering only video subscriptions. Arranged by volume and daily or monthly download limits, they have 6 different plans to choose from. Subscriptions are designed to save money in large volume purchases, reducing per-clip price substantially the greater the total downloads is, and making their stock footage extremelly affordable. All their clips are sold under Royalty Free license, a simple licensing model with wide usage rights. As a bonus, all new customers can access to a special, 7 day free trial of the service, enabling to download up to 35 Royalty Free stock videos completely free of charge. Stock footage collection in their website is neatly arranged, they curate and showcase galleries for most popular and fresher content, as well as categories based in concepts and style. Their search engine is not as advanced as Shutterstock, but it still includes filters and features that help you find clips easily. All in all, Bigstock's service is simple and easy to use, and gives you lot of different options to buy cheap, yet decent quality, stock footage. As for format, all the clips are downloadable in MOV files. Bigstock sells stock footage via subscriptions only. They have a single purchase, credit-based system, but so far it's only for stock photos. If you want video, you need a video subscription plan. Initially they offered plans based in daily downloads, but later on they introduced monthly download limits, so now they have a wide offer that includes both modalities. All their subscriptions are monthly, and regardless of when the download limit resets, there's no chance to roll over unused downloads. These are the plans with the larger number of downloads and the cheapest prices, but the daily limit can be a bit restrictive for some people. If you don't use up all your downloads for the day, you're missing out in price (although very little, given how cheap videos are), and if you need lots of videos all at once, you're stuck to the limit of your plan. 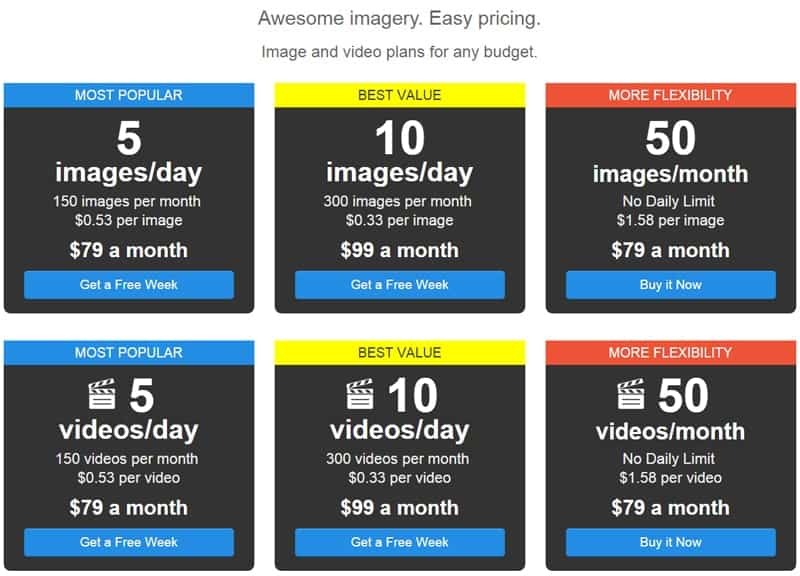 50 clips per month for $79 ($1.58 per clip) — this plan gives you twice as much downloads for the same price! Monthly limit plans are a little bit more expensive overall — for the same money you can buy 25 clips a month with no daily limits, but 150 videos a month with a limit of 5 downloads per day. But they are convenient if you want to be able to download as many videos as you wish, whenever. With monthly subscriptions you can get the total of your downloads the same day if you want, or space them in time according to your needs. It's also worth to note that Bigstock does not price videos according to resolution. This means you can use your downloads to get clips in any of the available definitions, and that Bigstock has one of the cheapest price points in the industry: the most you'll pay for an HD clip is $5.80, and you can get them for as little as $0.33 each! See Bigstock's full Plans and Pricing here. All Bigstock stock videos are sold under a Royalty Free license. This license gives you perpetual, multiple usage rights for a flat, one-time payment. Simply put: you pay once, and get to use the video forever, in as many projects as you want as long as they fall within the accepted terms of the agreement. You can use Bigstock's videos in various commercial and promotional uses for web or social media, as part of layout designs and templates for applications (as long as it's integral part of the design), and also in TV, film or video productions. All this limited to 250,000 copies or viewers, except for cases like free video sharing, where viewers do not have to pay to see the content. They also have a collection of clips that can only be used for editorial purposes, and do not allow commercial usage. These videos can only be used to illustrate newsworthy, public interest or other similar events and topics, in a way that doesn't involve personal gain nor profit. There's some other restrictions that apply, mainly to sensitive use. You're not allowed to use the content in connection with adult-related themes or any illegal or morally questionable concept, and you cannot use content depicting people in a way they might find offensive. And of course, Editorial only videos cannot be used in connection with any commercial or for-profit purpose. To make sure your intended use is accepted and you're not infringing any rights, always read the Bigstock's Usage Agreement carefully. Bigstock website presents the stock footage collection neatly, displaying galleries for most popular and newer content, as well as the most sought-after categories representing different topics and styles. This way you can simply browse and discover the best and most trending content in their library. They also have a search engine for you to search videos by keywords. This tool is very simple and easy to use: all you have to do is add your keywords in the search bar and hit enter for the results. Although not overly advanced, they include a set of filters and buttons that let you refine the results to get a smaller selection that better meets your needs. You can sort results by most relevant, newer or popular; choose license type (any license, Editorial only, or commercial); and you can also filter by image resolution and exclude keywords. Although simplified, the search engine works well to deliver good matching results in little time. In addition to footage, Bigstock has a large library of stock photos that you can use to complement your projects. With over 25 million images available both on-demand and with subscriptions, you can find compelling imagery to boost up your productions at very low prices. As you can see, we find that Bigstock's positive points easily make up for the negative aspects in their offer. However, it all depends on what kind of buyer you are. They have some of the cheapest prices in the industry, particularly for HD clips, and a very straight-foward system to buy and use stock footage. However, the library size can result in some limitations in terms of content. And the lack of a way to buy videos one by one can be unconvenient for some. Subscriptions give you amazingly good prices for the videos, but also commit you to monthly payments with the company. If you don't mind a smaller collection and you are ok with paying montly fees to have more videos at a lower price, then we definitely recommend you to visit Bigstock! You can sign up for free and start browsing. And remember you can get 15% off your subscription with our special coupon! If you want to test how good their videos are for your projects before spending money, now you can! With our special offer for a Free 7-Day Bigstock trial, you'll get up to 35 stock videos for free! This offer here is available for new customers only.